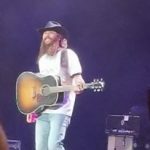 Mr. Cody Jinks Is Truly Moving On Up, Here’s A BUNCH Of Info On Stuff. I wanted to wait until my time was right to lump a bunch of Cody Jinks information together into one heaping plethora of greatness and NOW I SEE that he has announced a September 15th show at Ascend Ampitheater in Nashville Tennessee. Now my dear readers, as far as I know tickets aren’t on sale yet, BUT that link for the Ascend Ampitheater is the ticket page. We knew that he was becoming bigger than the Ryman as well, and three nights of shows are still not satisfying the multitude of fans that are salivating for more Jinks. You know I truly do identify with his new song “Lifers” and I’ll tell you why. Much like him, I have been beating the pavement for five year, with doors slammed in my face at every turn. But I kept on believing in myself and my passion for real music that I revel in. So many sleepless nights and all nighters behind this damn keyboard. MANY sleepless weekends under intense outdoor heat covering festivals. I believe that Cody Jinks is an inspiration to me to continue doing it myself and doing things MY WAY, and keep working hard no matter what life throws at me! He then just recently released a video for that new song called “Lifers” which I understand was met with some harsh criticism by a number of fans. Well I’ll be honest and truthful no matter who you are or what you do, that’s always going to happen to you. People are going to hate you for no reason, and love you for false ones. He then announced his own festival, I mean I know quite a few bands doing that but NOT with this type of a gigantic response to the announcement. So instead of writing a whole new article for Loud And Heavy fest I shall include all of the information on this article here for you. If you enjoy what I do for this festival I COVER 175 FESTIVALS YEARLY! So go check out some more of the other ones on here, and maybe you’ll discover some new bands you never heard before. Loud and Heavy Fest 2018! August 18 in Fort Worth Texas @ Panther Island! 10 Awesome Bands: Cody Jinks –Whiskey Myers – Corrosion Of Conformity– Whitey Morgan– Nikki Lane– Colter Wall– The Sword– Sunny Sweeney– Paul Cauthen– Ward Davis. Located in the heart of Fort Worth, along the banks of the Trinity River, there’s no other venue in Texas that’s better suited for Loud and Heavy’s debut than the beautiful Panther Island Pavilion. Guests at the very first Loud & Heavy Festival will enjoy numerous acres of festival space and 2 stages of music featuring 10 hand-picked artists by Cody himself. 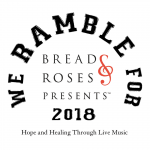 Local food vendors, space for childrens activities, art, exclusive merchandise, and exciting sponsors are also on tap for this special celebration. Access to the beach, riverfront tubing and water activities are available until 7PM outside the festival gates for an additional fee (visit Backwoods Paddlesports for more details), all with a view of DFW’s downtown skyline. After you park your car, you will cross the Trinity River via the walking bridge that drops you directly into the venue for Loud and Heavy. The main entrance, Box Office, and VIP entrances will all be on the venue side of the walking bridge. Panther Island Pavilion is connected to 72 miles of beautiful trails via the Trinity Trails network and offers easy access to Sundance Square, with world-class shopping, restaurants and bars. With the highest decibel levels in the city, PIP will allow us to stay true to our name as we go Loud & Heavy all afternoon and evening on August 18th!